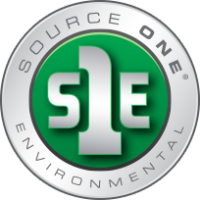 In 2009 the Fernco Company, Source One Environmental (S1E), began with an idea, a product and a desire to provide innovative support to municipalities, contractors and plumbers in the water management and infrastructure rehabilitation markets. S1E was founded on the premise that infrastructure repair was a growing market, but needed inventive solutions. During this period, Fernco’s sister company Flexseal had developed a unique infrastructure repair application, better known as Pipe Doctor®. Pipe Doctor is a Cure-In-Place Pipe (CIPP) trenchless repair. Pipe Doctor was brought over to the U.S. market and put through rigorous testing; however, S1E needed a solution that would comply with U.S. codes and standards. We went to great lengths to engineer, upgrade and streamline what is today known as PipePatch®, a No-Dig trenchless pipe repair second to none. The PipePatch line was initiated on the values of exceptional service and materials while reducing negative environmental factors through trenchless pipe solutions by not only solving infrastructure issues, but also providing on-sight consultations, training and education for professionals. We are committed to cultivating relationships with customers and strategic partners both locally and nationally to ensure successful repairs as we seek new and better ways to resolve tomorrow’s problems. Our dedication to quality, service and training within the water management and infrastructure rehabilitation markets sets us apart. This commitment to becoming the industry leader in the infrastructure rehabilitation markets keeps us humble. We look forward to working with you.